But first a look back to 2016. From reading year-end posts on social media, it seems the collective opinion is that 2016 sucked. Not a shocker. After all, we lost Prince, Princess Leia, and so many more of our cultural icons. We endured the circus that was the U.S. presidential election. We saw horrific acts occur in Orlando, Aleppo, and many other places around the globe. For God’s sake, even Tarak and Christina broke up. For me, 2016 involved a lot of heartache on a personal level, too. I rang in the new year the day after burying my mom and then faced the loss of several dear friends and family members throughout the rest of the year. To top it all off, I also lost my left breast (following a breast cancer diagnosis). So, yeah, 2016 pretty much sucked. With the holidays staring me in the face, I just didn’t have the desire (or emotional fortitude) to deck the halls the way I usually do or to partake in the traditional festivities. So Mr. 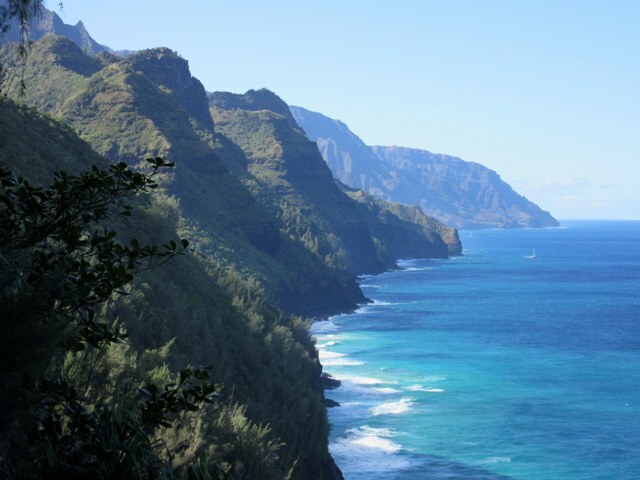 Counting My Chickens and I packed our bags and headed to Hawaii to check off some things from our bucket lists. I’m knocking on wood as I type this, but so far 2017 is shaping up to be a much better year! With everything I had going on last year, it’s no wonder that my blogging suffered, but it’s disappointing nonetheless. Weeks and even months went by without me posting any new content. I’m sorry if I let my readers down. 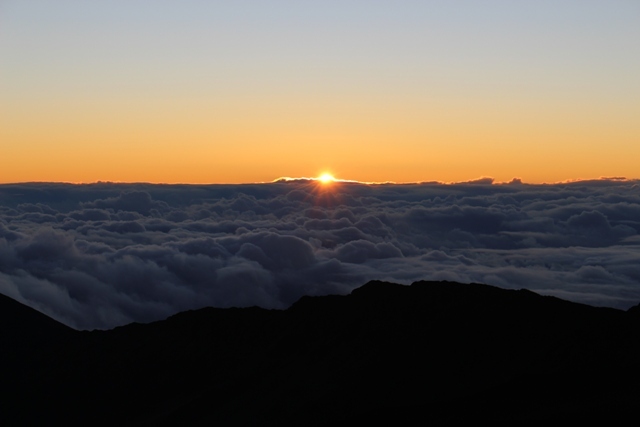 My plan is to return to a more regular schedule this year, starting with this post. One thing I like to do at the beginning of every year is to take a look back to see what have been the most popular posts on Counting My Chickens over the last year. My goal with this blog is and always has been to inspire you to raise your own food and live a more sustainable lifestyle. Reviewing the top five most viewed posts from the prior year guides me in the kinds of content I should be bringing you more of in the new year. Plus, it’s kind of fun for me to look back. I hope the review is fun for you, too. 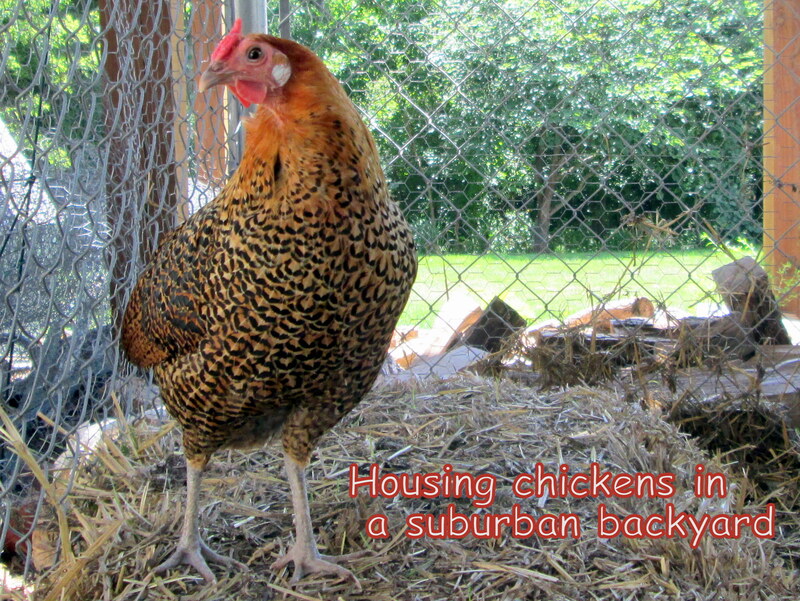 Also number 5 on last year’s list, Housing Chickens in a Suburban Backyard was first published on January 29, 2015. If you are new to backyard chickens, this post contains a good review of the four basic needs of backyard chickens when it comes to housing: (1) an indoor space to roost at night; (2) an outdoor space for exercise; (3) a place to lay eggs; and (4) protection from predators. The post will help you choose housing that will meet all four of these needs as well as your own needs as a backyard chicken keeper. 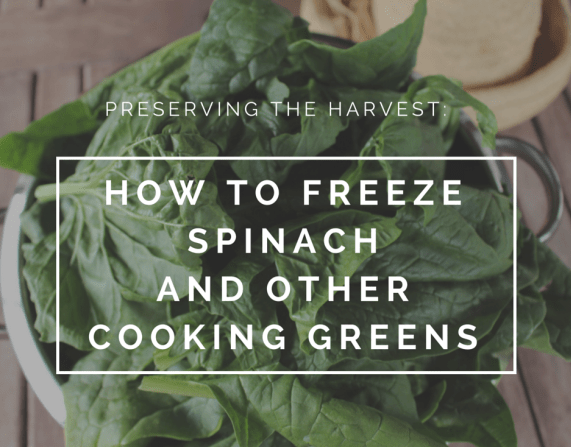 There’s a surprise on the list every year, and How to Freeze Spinach and Other Cooking Greens was this year’s surprise. I first published this post on May 20, 2015, and it didn’t even make last year’s list, which is why I’m surprised that it shot all the way up to number 4 this year. The post provides a step-by-step guide (with photos) for preserving the surplus spinach from your garden. I always freeze loads of spinach every spring, when it does best in my garden, so I have it to use the rest of the year. I’m glad to see other people are catching on to this super easy food preservation method. 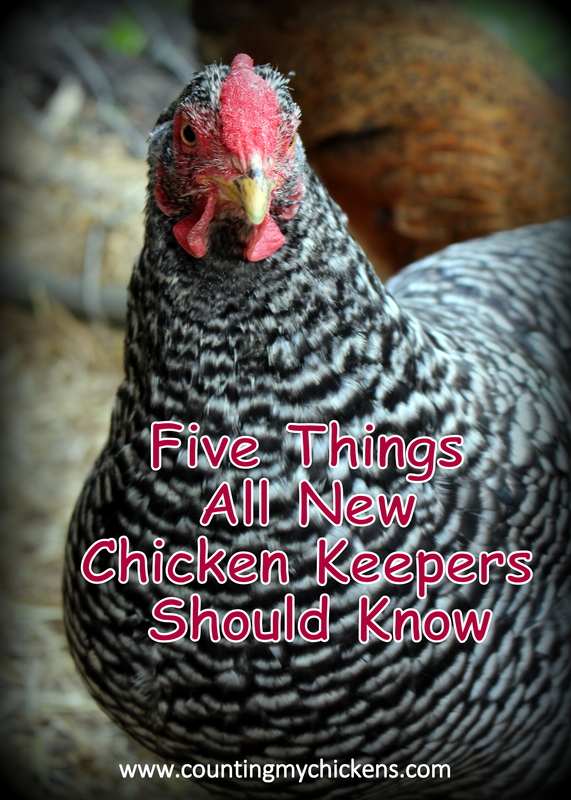 Five Things All New Chicken Keepers Should Know is one of my favorite new posts from 2016, so I’m happy to see it made the list. I get a lot of questions from new chicken keepers about things they didn’t know or didn’t anticipate before getting chickens. This post, first published on June 7, 2016, reviews five things that seem to surprise new chicken keepers the most. 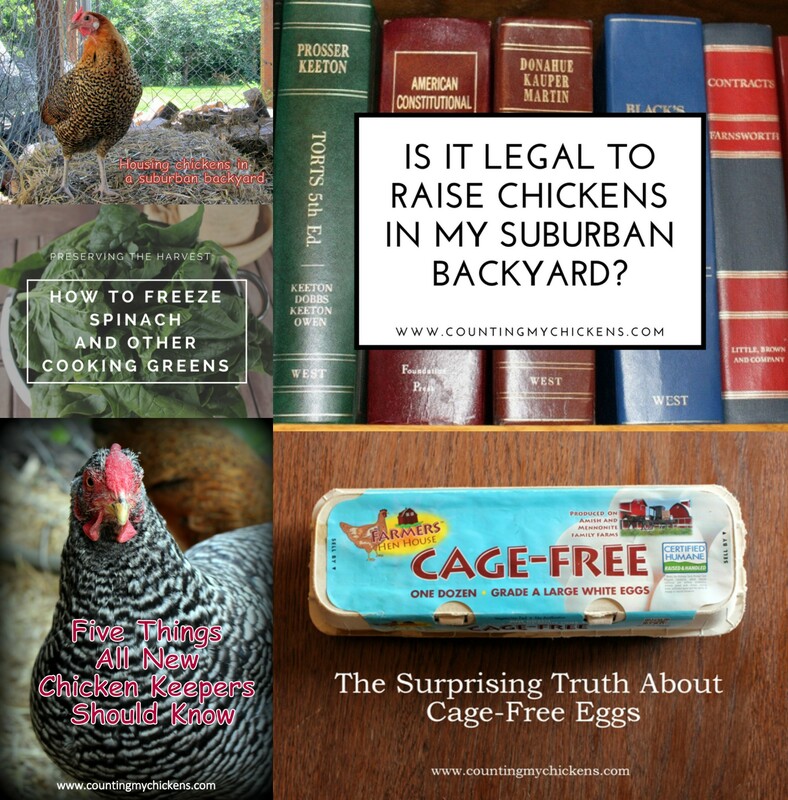 If you are new to backyard chickens, it’s a must read. 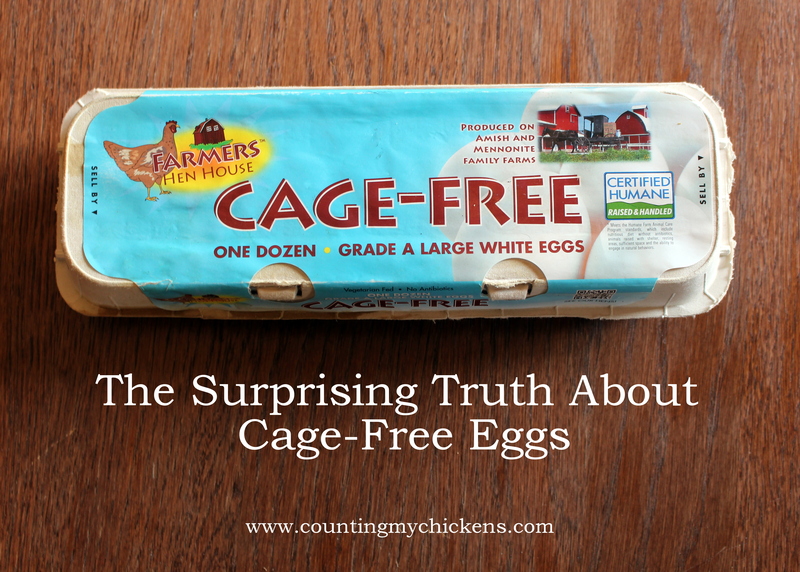 Another new post from 2016 (published on January 31), The Surprising Truth About Cage-Free Eggs caused a little bit of controversy over on Facebook after it was published according to some of the comments I saw. This post explores whether buying eggs labelled as “cage-free” really advances animal welfare as much as you might think. As the title suggests, you may be surprised by the truth. Last year’s number 1, Is it Legal to Raise Chickens in My Suburban Backyard? returns to the top spot for a second year in a row. And the repeat performance is no surprise. 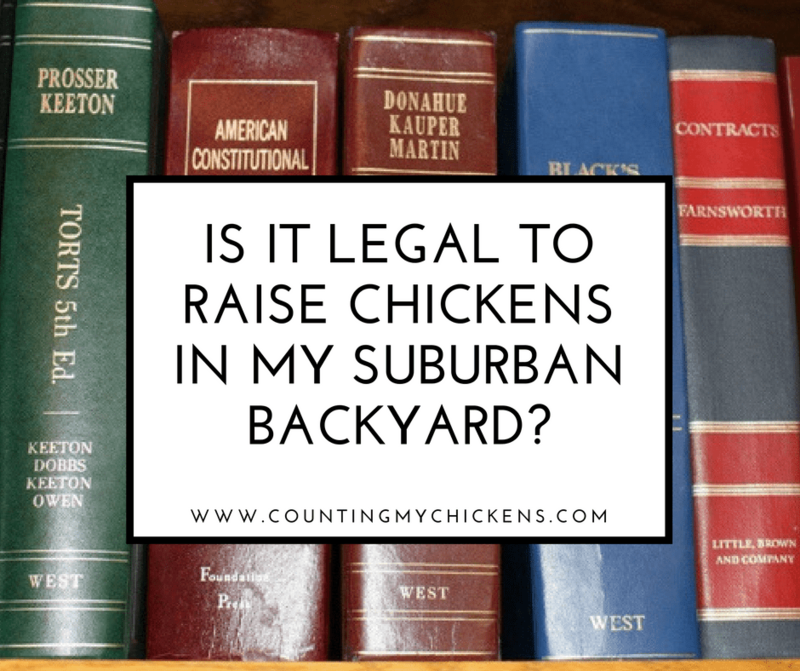 First published on March 12, 2015, this post helps navigate the myriad rules and regulations that may impact backyard chicken keeping. If you are raising chickens anywhere other than a traditional rural farm, it’s an important read. And that’s it. Did your favorite make the list? What content on Counting My Chickens inspired you in 2016? Please let me know in the comments section below. Wishing you a happy, healthy, and fabulous 2017! This entry was posted in Living the Good Life and tagged blogging, year in review by Deborah Neyens. Bookmark the permalink.